Malt loaf is a common snack food in the United Kingdom. 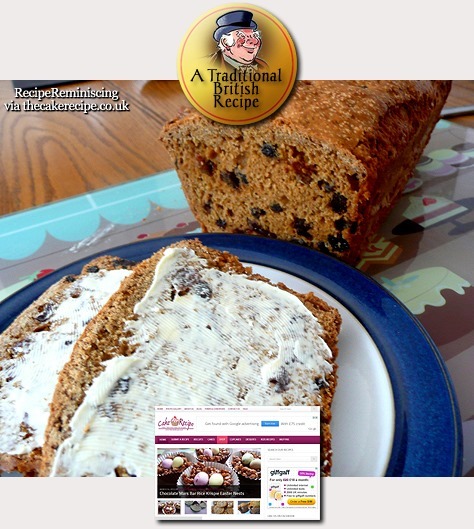 Malt loaf has a sweet taste and a very chewy texture like very heavy, soft bread. It is made from malt and often contains fruit such as raisins. Malt loaf is usually eaten sliced and spread with butter. 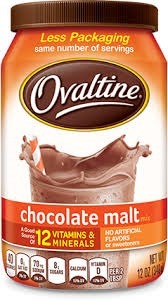 Ovaltine (Ovomaltine) is a brand of milk flavoring product made with malt extract (except in the blue packaging in the United States), sugar (except in Switzerland), and whey. Some flavors also have cocoa. 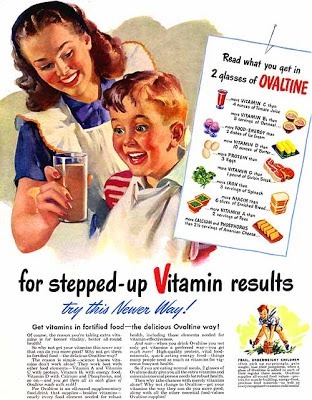 Ovaltine, a registered trademark of Associated British Foods, is made by Wander AG, a subsidiary of Twinings which acquired the brand from Novartis in 2003, except in the United States and Australia, where Nestlé acquired the rights separately from Novartis later on. 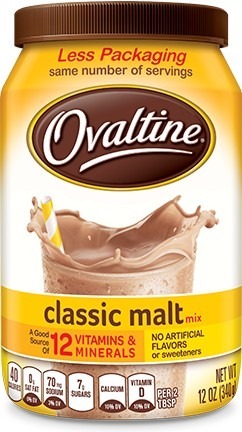 Ovaltine was developed in Bern, Switzerland, where it is known by its original name, Ovomaltine (from ovum, Latin for “egg,” and malt, which were originally its main ingredients). Soon after its invention, the factory moved out to the village of Neuenegg, a few kilometres west of Berne, where it is still produced. 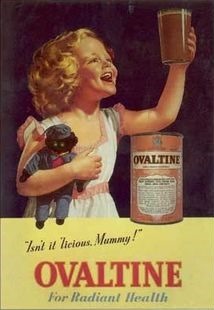 Ovomaltine was exported to Britain in 1909; a misspelling of the name on the trademark registration application led to the name being shortened to Ovaltine in English-speaking markets. A factory was built in Kings Langley, which exported it to the United States as well. 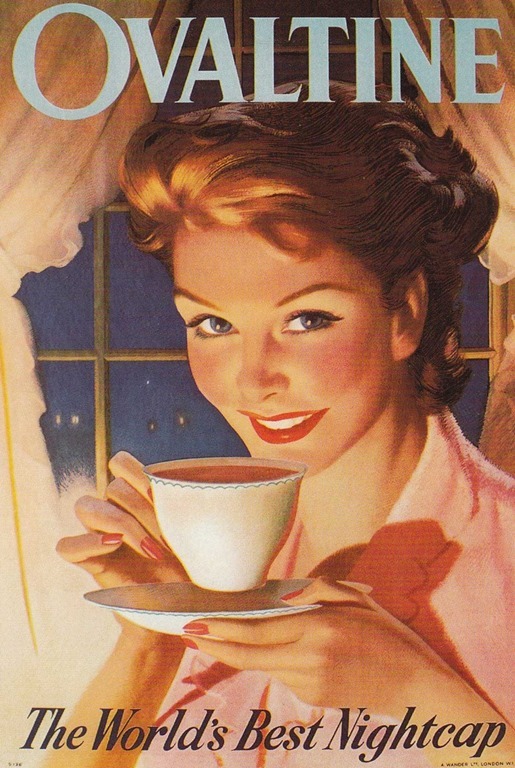 By 1915, Ovaltine was being manufactured in Villa Park, Illinois, for the U.S. market. Ovaltine was later manufactured in Peterborough, Ontario for distribution in Canada. 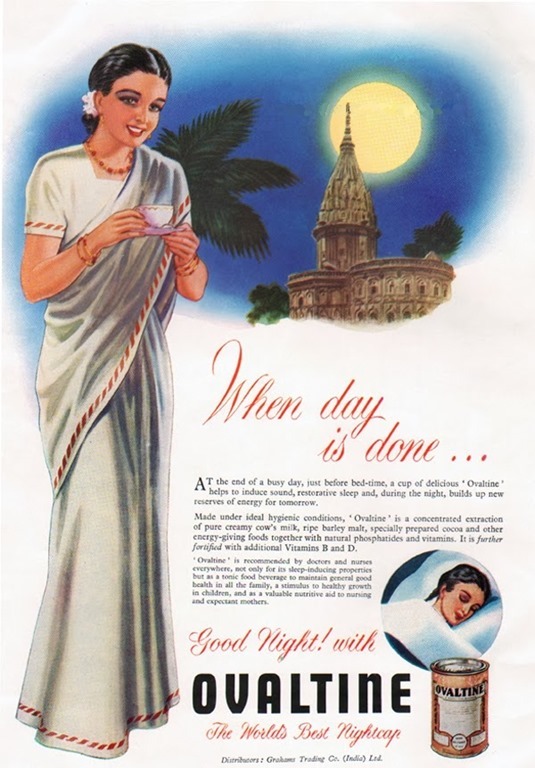 Originally advertised as consisting solely of “malt, milk, eggs, flavoured with cocoa”, the formulation has changed over the decades, and today several formulations are sold in different parts of the world. The popular chocolate malt version is a powder which is mixed with hot or cold milk as a beverage. Malt Ovaltine (a version without cocoa) and Rich Chocolate Ovaltine (a version without malt) are also available in some markets. 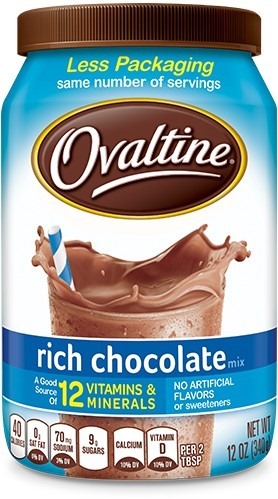 Ovaltine has also been available in the form of chocolate bars, chocolate Easter eggs, parfait, cookies, and breakfast cereals, where it is the only brand name that connects the cereals with the chocolate drink. Ovaltine also manufactured PDQ Chocolate Flavor Beads, PDQ Choco Chips and Eggnog Flavored PDQ, which are no longer available. These drink mixes were very popular from the 1960s to the 1980s. Ovaltine discontinued the PDQ products around 1996. 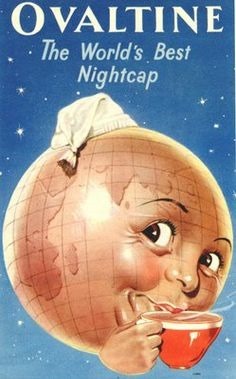 The U.S. children’s radio series Little Orphan Annie (1931–1940) and Captain Midnight (1938–1949), and the subsequent Captain Midnight TV series (1954–1956), were sponsored by Ovaltine. They had promotions in which listeners could save proofs-of-purchase from Ovaltine jars to obtain radio premiums, such as “secret decoder ring” badges, or pins that could be used to decode messages in the program. Children from the time may remember that “Ovaltine” is an anagram for “Vital One”. Another radio program aimed at five- to fourteen-year-olds, The League of Ovaltineys, was broadcast to Great Britain by Radio Luxembourg on Sunday evenings at 5:30 PM. Beginning in February 1935, it was broadcast until September 1939, when the outbreak of World War II forced closure of the station, and again after the war from 1952. Like with the U.S. program, listeners could obtain badges, pins, and secret codes. The Ovaltineys’ advertising jingle was regarded as one of the most successful jingles of the era and featured the iconic English singing trio The Beverley Sisters. Villa Park, Illinois, was home to the Ovaltine factory in the United States until the company’s purchase and withdrawal in 1988. The Villa Park Historical Society maintains a permanent exhibit of Ovaltine advertising and memorabilia. The old factory was converted to loft apartments keeping the original floors and wall exposed. In 1992, Himmel Group obtained the right to make and sell Ovaltine in the U.S. from Sandoz Nutrition Corporation. In 2007, Himmel sold their rights to Novartis. Presently Nestlé has the rights. 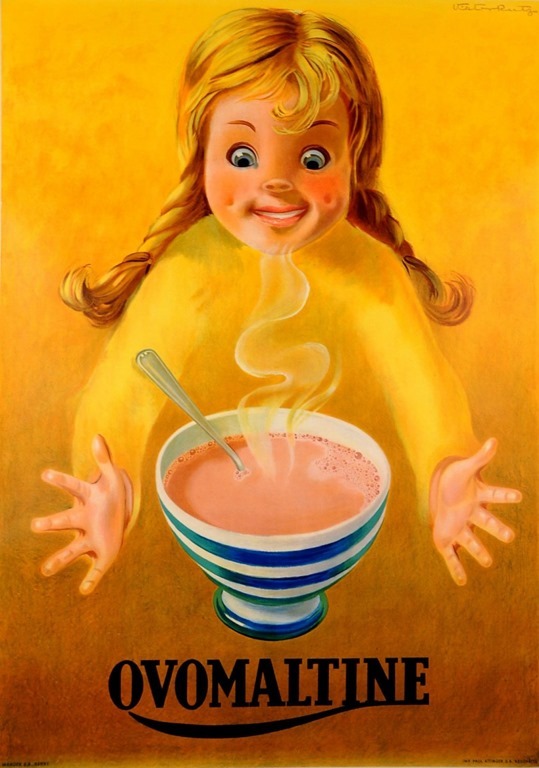 With this purchase, Nestlé immediately ceased Ovaltine’s previous television advertising campaign targeted to older and nostalgic audiences, where Ovaltine was presented as more nutritious than former competitor Nesquik, and though it is still sold widely in the United States, Ovaltine is currently not advertised on American television. In 1947, Harry Gibson’s song “Who Put the Benzedrine in Mrs. Murphy’s Ovaltine” was popular on the radio. In “The Fatigues”, episode 6 of season 8 of the popular ’90s show Seinfeld, Kenny Bania, a friend of main character Jerry Seinfeld, is given a joke by Jerry, regarding the name of Ovaltine. He says “Why do they call it Ovaltine? The jar is round. The mug is round. They should call it Roundtine.” to which Kenny Bania replies “That’s gold Jerry, gold!”.